Here's Benefit's newest complexion-enhancing palette: the Perk-Up Artist. It has three color-correcting shades that can be used alone or custom blended to meet your concealing needs. The palette itself is small and compact, comes with a mirror and a very good brush, and has lids that snap over each compartment. Excellent design. 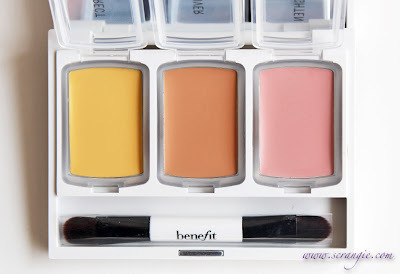 The concealer formulas are smooth, creamy, and blend into skin flawlessly. The pink really is great for brightening around the eye area. 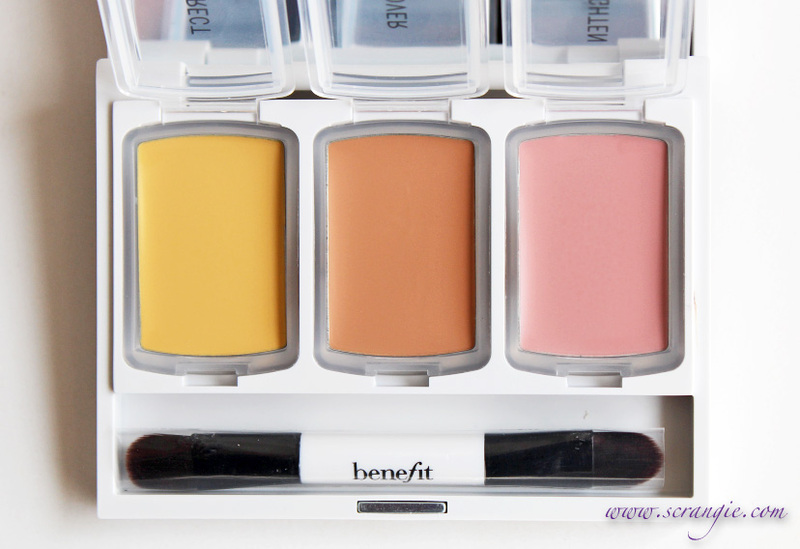 The yellow makes a good eyeshadow base in a pinch. 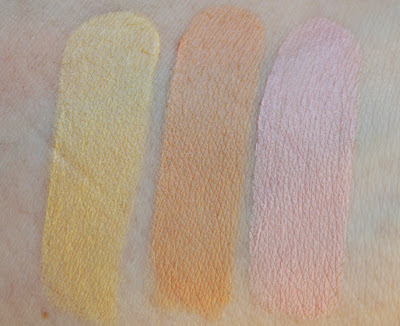 My skintone is somewhat fair and the peach Cover concealer is sometimes visible if I haven't blended enough. 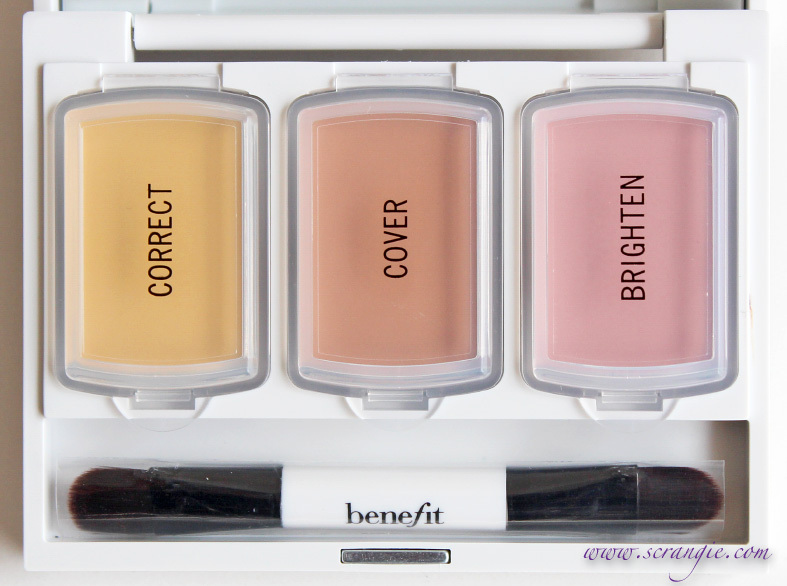 However, blending too much decreases coverage. 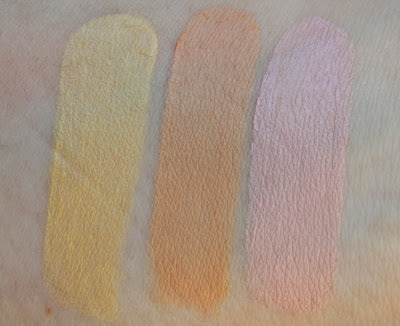 The texture of the concealers stays a little creamy/sticky and must be set with powder. 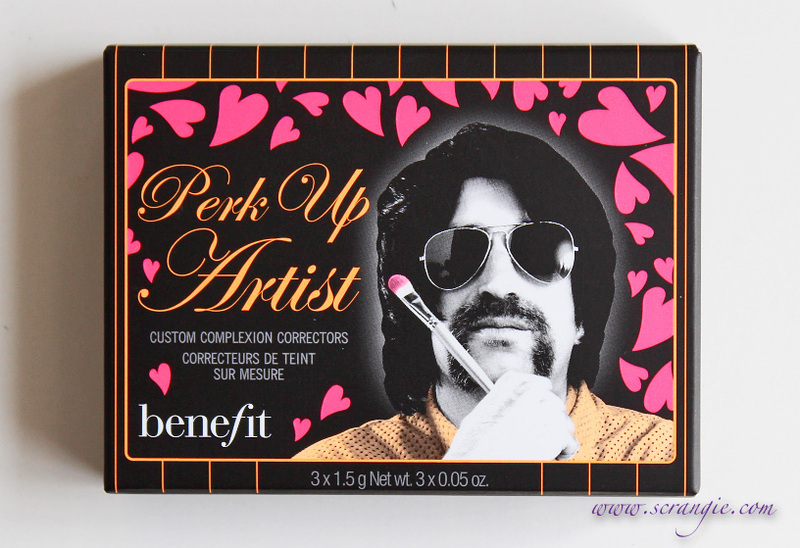 Not ideal for heavy-duty concealing due to semi-sheer, creamy formula. Best for slight color correction (brightening in corners of eyes, around nose and mouth, adjusting dark circles, lessening the look of small scars or hyperpigmentation). The palette is rather small and each product is only 0.05 oz, so $30 seems a little steep. A full-sized Erase Paste is $26 and better for heavy-duty concealing, a full-sized Eye Bright pencil is $20. Overall, I like the size and design of the palette and the texture of the concealers. 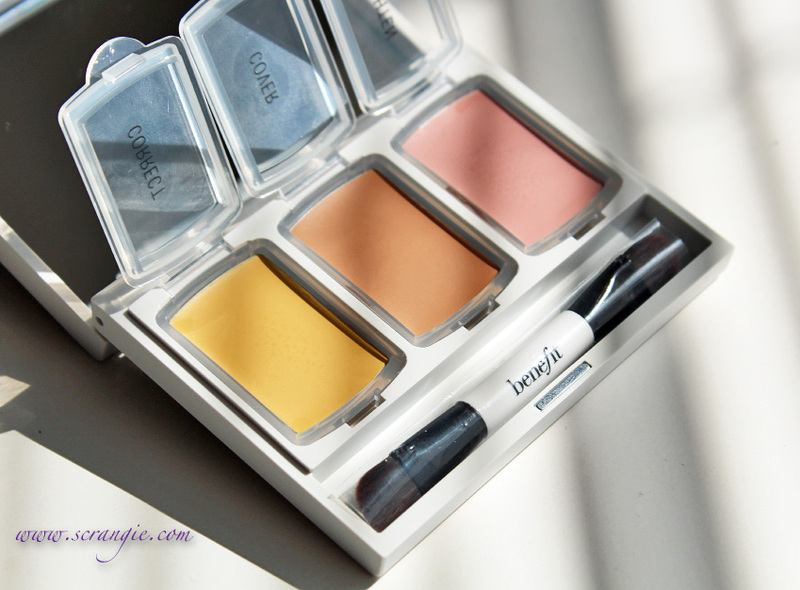 It's very handy for some quick color correcting and light concealing. 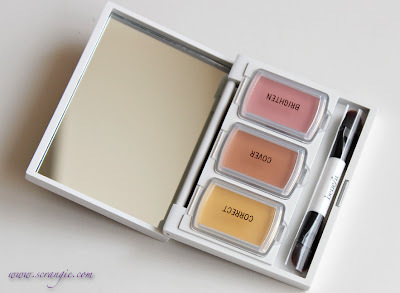 If you're looking for something with a little more coverage or need more than just color correction, I'd recommend the Confessions of a Concealaholic set instead, as it comes with two shades of Boi-ing, a mini Erase Paste, Eye Bright, That Gal and Lemon Aid for only $36. And I was also thinking... that goofy "Perk-Up Artist" on the front of the palette kinda reminds me of someone else. 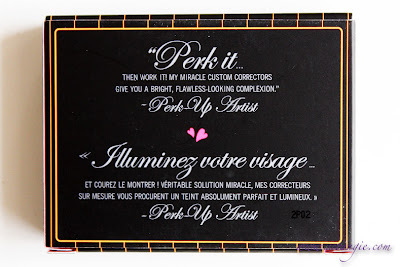 Benefit's Perk-Up Artist palette is $30 and is not limited edition. 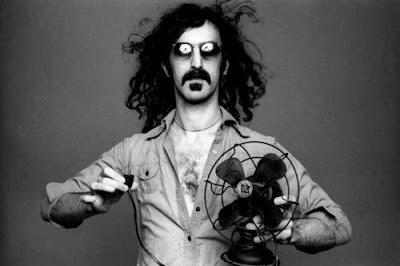 is that frank zappa?!?? 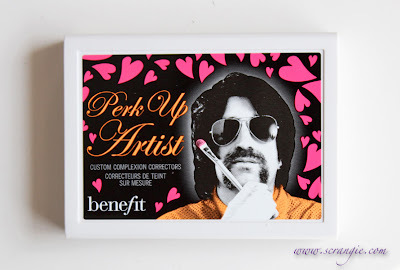 on benefit cosmetics?? If you are an FZ fan, you just became even cooler in my book!! Wowie Zowie! If you are indeed an FZ fan, you just became cooler in my book!